Strokearts Studio is managed by Strokearts Studio Pte. Ltd., Singapore. Kumuda & Shivali, Directors of the Company, are Singapore based contemporary artists dedicated to creating an awareness and appreciation of visual arts. 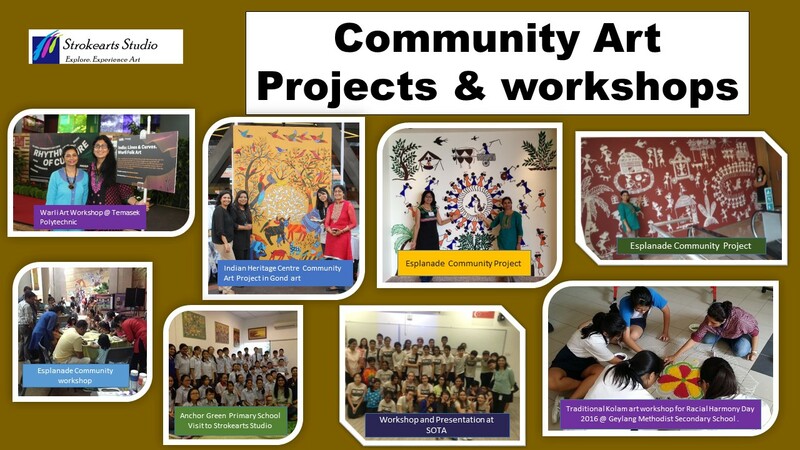 They have conducted various successful art events in Singapore like mural painting at Indian Heritage Center, Kalaa Utsavam, painting exhibition at Esplanade, The Art House and Viridian Art Center. They are experienced arts educators for the last fifteen years taking art classes for children and adults and have taught and presented art lessons at Global Indian International School, Singapore Management University and SOTA. 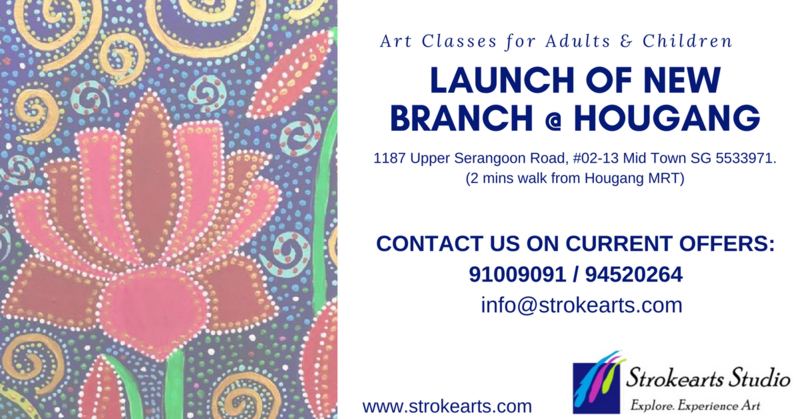 Regular workshops and classes are conducted at the Strokearts Studio for learning various forms of arts. We donated some of our paintings to Raffles Fine Art for sale as part of Presidnt's Charity 2015. Traditional Chinese art, Indian henna art and rangoli, and batik art come together in a vibrant harmony of colours in an acrylic painting by Singapore-based Indian artists Shivali Mathur and Kumuda Krovvidi. The work, titled Integration, is a representation of the way that culture comes together as one in Singapore, said Ms Shivali, 40, who has lived in Singapore for 12 years. Copyright © 2019 Strokearts Studio Rights Reserved.